Once a poor man approached King Yudhishtira, the eldest of the Pandavas. He was also called Dharmaraja because he always followed the path of virtue. The poor man asked the king for some help. Yudhishtira said, "Come tomorrow, I will give you what you want." Bhima, Yudhishtira's brother, overheard this promise. He at once called all the royal retinue for a sudden meeting. He announced that the next day would be celebrated as a day of victory. This sudden announcement created a great commotion. Everyone wanted to know what the victory was about and who had won it. The news reached Dharmaraja. Bhima was asked to give an explanation. 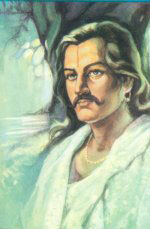 Bhima said, "We have gained a victory over death for twenty-four hours. Dharmaraja had asked a certain poor man to come tomorrow for receiving help. It means that Dharmaraja is quite certain that he will be alive for the next twenty-four hours. Is this not a victory?"